PEC Zwolle, perennial under-dogs in Dutch Football, have captured the hearts of the nation this season, read on to see why. Those who established residency in central Holland during the early parts of the ninth century were greeted with the wrath of Mother Nature. Constant flooding from the North Sea and latching rivers posed a threat to settlements, often usurping entire areas with water. Yet, our planet’s geological shifts were kind enough to impart a gift upon those battling the high rising waters. A swell of land between two major rivers proved the only dry ground during flooding seasons. 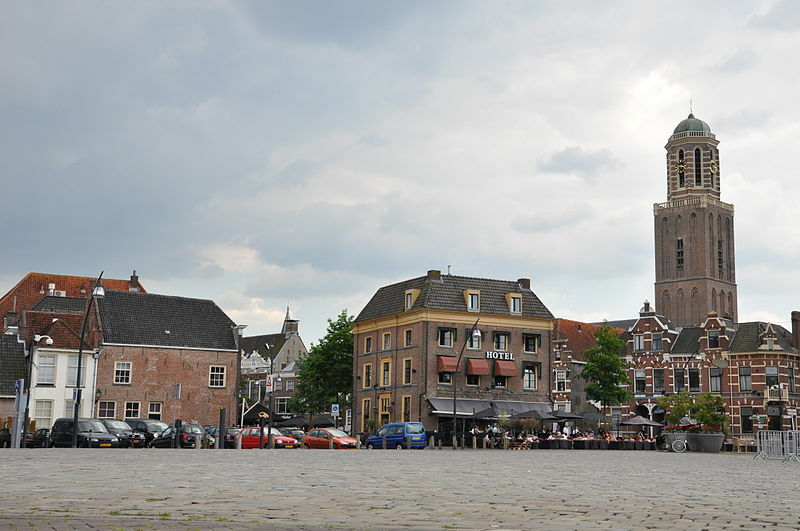 That savior ground was established as the city of Zwolle. If there’s a club in Dutch football that best embodies the story you’ve just read – despair, hope, and an unmistakable battle against the inevitable – it is ironically that of PEC Zwolle. The club situated northeast of Amsterdam is the pride of a city with a rich history, unique to the more popular Dutch municipalities. Decades of turmoil at the club have always been glittered with dashes of promise. In 2018, that promise may finally be coming to a climax. This season, PEC Zwolle have emerged as a beacon of hope for smaller Dutch clubs, rising to the top five after spending much of the past two decades battling relegation. Established in the early parts of last century, “PEC” was born out of a merger of two clubs. Prins Hendrik (P) and Ende Despespereert Nimmer (E) formed a combinatie (C), but the club name would endure multiple changes in the coming century. The late 1920s gave PEC a glimpse at what glory could look like. The relatively unknown club forced their way to the 1928 KNVB Cup Final, but a 2-0 loss perhaps foreshadowed a rocky and tumultuous future at the club. After a period of relative success, PEC was renamed to PEC Zwolle in 1971 following yet another merger. The move gave birth to a fantastic period – in 1977, nearly a half century after their first attempt, PEC reached the KNVB Cup Final yet again. Unfortunately, the club lost out again. Like a bubbling magma chamber under an uncompromising landscape, PEC Zwolle were so close to breaking through as a major force in Dutch football. The breakthrough seemingly began the following year, 1978, when Zwolle were promoted to the Eredivisie for the first time. Surprisingly, they managed a mid-table finish in a glamorous league still reaping the rewards from an era of Feyenoord and Ajax dominance across Europe. Yet, PEC Zwolle’s short-term success was funded – like much of football’s success stories – by a not-so-long-term financing structure. The club owner was pouring funds in to purchase quality players without much security, leaving the club in dire straits for much of the 1980s. The people of Zwolle have always had an interesting history when it comes to money. As recounted over centuries of storytelling, a church in the city crumbled in the 1600s, leaving the poor town in need of funding. They decided to sell the bells of the church to another town, and when the payment was received, the town authorities counted each cent with their own hands. As the story goes, their fingers were blue by the time they finished because of the vast amount of copper. Thus, the nickname for the city (and, subsequently, the club) became the Blauwvingers: the blue fingers. Much like their local ancestors of centuries past, the current members of PEC Zwolle were strapped for cash in the early eighties. Luckily, a man named Marten Eibrink purchased the club in 1982, distilling the club’s liabilities and renaming it PEC Zwolle ’82. However, even though they were saved from bankruptcy, PEC struggled in the Eredivisie. The decade was fraught with survival battles and multiple relegations. Finally, the vacillating period was ended in 1990, when the club filed for bankruptcy after Eibrink left along with most of the club’s sponsors. The financial issues had finally come to fruition and condemned the club to a prolonged fate. Football in the Netherlands is precariously positioned in reference to other European leagues. It’s not strong enough to financially compete with the likes of England, Spain, Germany, or Italy, but the Eredivisie is still much more talented than most others around the continent. Still, the larger leagues form somewhat of a monopoly on club revenue, meaning Dutch clubs have to work even harder to stay afloat. This is especially true for PEC. Quick rises like the one in the 70s are phenomenal and enthralling, but are too often cut short due to financial restrictions. Luckily, the bankruptcy gifted Zwolle a fresh start. Newly absolved of debts and now bearing the name FC Zwolle, the club began to change its identity once more. Over a decade after the bankruptcy, Zwolle were finally promoted back to the Eredivisie in 2002. However, the demon of relegation continued to haunt the club and they were back in the second division in only two seasons. The Blauwvingers would be condemned to yet another decade of sadness, with the re-promotion to the Dutch top division failing to materialise until 2013. By that point, the people at the club were tired of failure. Years prior, some supporters had threatened manager Hennie Spijkerman due to bad results, causing him to leave the club instead of risking his personal safety. The same fans would now experience top level football once more. Though, unlike decades past, the club would finally begin to live up to its full potential. The first sign of change was the (last one, I promise) name change – back to the historically meaningful PEC Zwolle. Two straight 11th-place finishes in the Eredivisie were representative of a squad being built that could compete with bigger sides. At the end of the 2014 season, PEC’s covered talent finally burst from its shell. The Dutch Cup Final – an unremarkable competition for some, but a chance to prove worth – saw PEC Zwolle take on a mercurial and much financially stronger AFC Ajax. The capitol club side boasted the talents of Daley Blind, Davy Klaassen, and Lasse Schöne, whereas PEC Zwolle mustered a diverse starting eleven of underappreciated talent. When Ajax scored within three minutes, people tuning in across the Netherlands knew the result was already decided. You can imagine the surprise when, nearly two hours later, the final score read PEC Zwolle 5-1 AFC Ajax. In one of the most memorable giant killings of the 21st century in Holland, a club that was playing in the Eerste Divisie no more than two seasons prior had beaten the largest club in the land. Spurred on by the fantastic goal scoring from New Zealand youngster Ryan Thomas, the municipal club stormed to a large victory at De Kuip. Finally, after nearly a century of trying, PEC Zwolle had garnered the recognition so many from the club knew they deserved. The result was no fluke, either. The following season, PEC finished in 6th place: the club’s best ever finish in the top flight. Immediately, though, they were struck with the hard-hitting truth of global football economics. 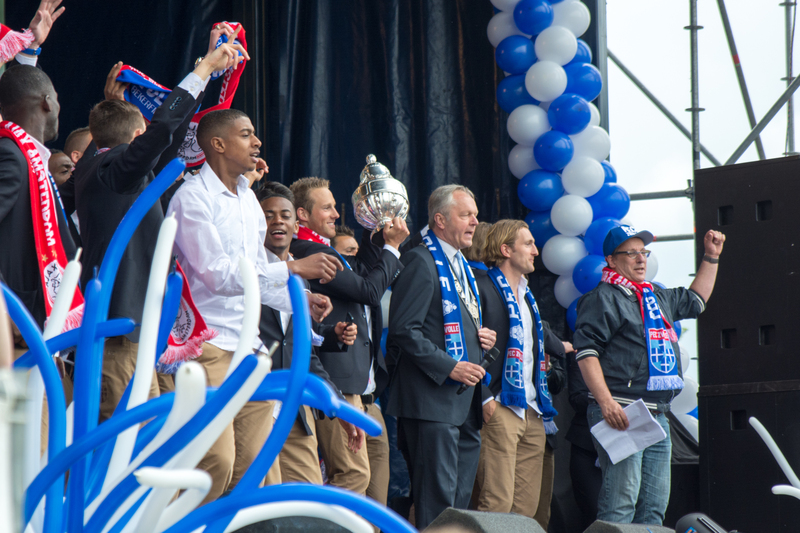 Ever since the KNVB Cup victory, Zwolle have posted a massive profit from player sales overall (transfermarkt.de). But, as discussed previously, the Eredivisie doesn’t draw in massive revenue from advertisements, and to remain financially healthy, even giants like Ajax and PSV are forced to sell top talents to remain financially healthy. This especially applies to the smaller organizations in the league like PEC Zwolle. Club stars like Mateusz Klich and Kamohelo Mokotjo were sold in 2014/15 to generate cash; ever since, PEC hadn’t approached their phenomenal top-half league finish. The appeal of moving to the likes of the Bundesliga, Premier League, or even larger Dutch clubs is often too much to ignore for Zwolle’s best players. This tenacious cycle of developing players and selling them to larger, more powerful clubs is perhaps better represented in the Netherlands than anywhere. For example, Mokotjo moved to FC Twente and was soon sold to Brentford in England. Even the English second division offers much higher earning potential than a high-level club in Holland. This talent food chain is clearly tied closely with finances, and it forces clubs like PEC Zwolle to be cautious and meticulous with their scouting, negotiating, and player management. Fans of the Blauwvingers can appreciate how well the club has managed this predicament. Stars like Mustafa Saymak, Ryan Thomas, and Kingsley Ehizibue have remained at the club for many seasons. There has probably been interest in each of them from foreign clubs, but none have moved (yet). This fantastic management has produced something very few would’ve expected – a top-four fight this season. Ever since the Eredivisie kicked off this season, it’s been clear that PEC Zwolle are keen on moving up to the next level. After multiple mid-table finishes, Zwolle hired manager John van‘t Schip to take over the squad. He’s done wonderfully, paving a direct route to the top 5 for PEC. At the time of writing, PEC remain in fifth place after a consistently spectacular first half of the season. PEC Zwolle have nearly reached their full potential as a club. But at a time where many fans should be extremely pleased with their club, there remains a lingering nervousness: a nervousness brought about by the laws of modern football. Sure, Cinderella stories like PEC are fantastic, but they’re short-lived. Zwolle players are being linked to much larger clubs. Young defender Philippe Sandler just confirmed a move to Manchester City next summer for €3 million. Thomas, Saymak, and Younes Namli will probably all make moves elsewhere within a few seasons. Like Leicester City’s drop from glory after winning the Premier League, there is a widely understood yet rarely discussed fate for Zwolle – a return to the depths of financial inequity they once rose above. The financial aspect of football largely dictates which national leagues – never mind clubs – succeed and which ones are condemned to decades of deficiency. Unfortunately for PEC Zwolle, no amount of determination to withstand a tumultuous history can override the fact that they reside in an ever-declining Eredivisie. Finances are scarce and, when success does come, it is often extremely short-term. As the structure of Dutch football continues to decline in comparison to the bigger European leagues, Cinderella stories are few and far between. That’s perhaps why the story of PEC Zwolle has gone under the radar this season. Whereas the euphoria of claiming a European spot would be majestic for a low-stature club like PEC, everyone and their mother knows that the chances are slim – even after a phenomenal half season. Perhaps PEC Zwolle have taken the form of the hopes and dreams of Dutch football fans, convulsing with pride and skill that will likely end in tragic failure and sorrow. Maybe the town that once scratched and fought for every guilder has re-traced its steps and is offering hope for those financially restricted. Perhaps, maybe, PEC represents a resurgent Holland. Possibly the most football-crazy nation in Western Europe has seen its true sporting love lag behind those of its neighbors; now it’s time to reclaim the throne. Will this not-so-meteoric yet comfortingly surprising success for PEC Zwolle, at least temporarily, provide no more than a neat memory? Or will it change the nucleus of the Royal Dutch Football Association, changing the game for the better? When PEC Zwolle stunned AFC Ajax in the KNVB Cup Final, every football fan in the country (bar Ajacied) rejoiced. For once, David had thumped Goliath. Zwolle have managed to build upon that success, pushing for a European place this season, but every factor is pushing back against them. It’ll take a miracle to stop the club from crumbling down like the city church centuries ago. However, if anyone knows how to make the most of their limited funding, it’s the Blauwvingers of Zwolle.